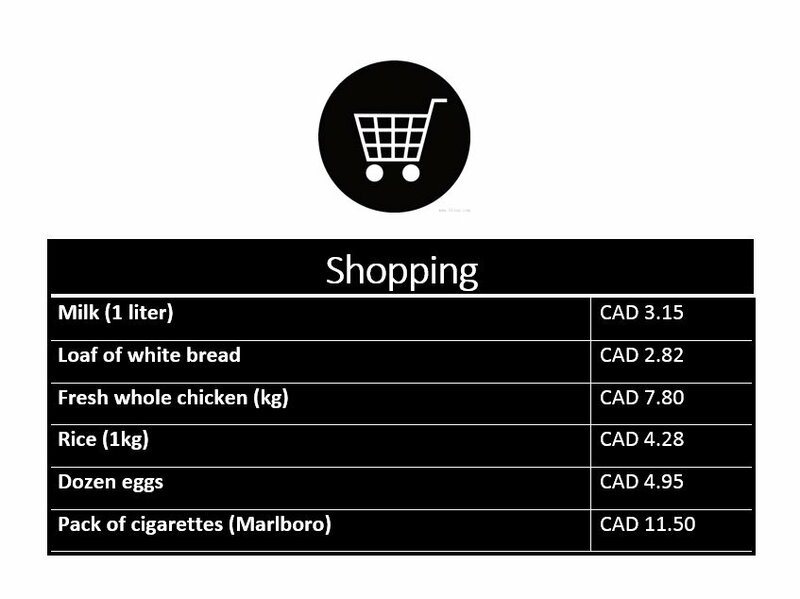 Here is a list of the average costs of living in Canada. Including prices of food, housing, entertainment, transportation and so much more. Step into the land of opportunity and thrive! When you come to Canada, you’ll soon find that the cost of living is considerably lower than Europe and may even rival that of your home country. Please be aware that whilst Canada as a whole has a low cost of living, there are significant differences in incomes between the cities, provinces and industry sectors. If you are looking for affordability, then Ottawa would be the ideal place to settle whilst Toronto ranks as the most expensive place to reside in Canada. It is generally assumed that most Canadian families will spend between CAD $55,000 – CAD $65,000 annually on the cost of living. Looking for a place to stay? 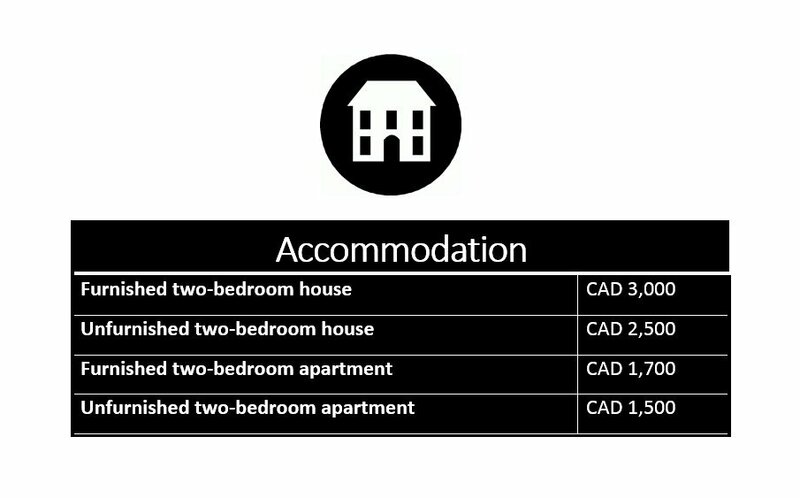 Below are some rough estimates on how much you would spend looking for decent accommodation to suit your lifestyle and needs. This has everything to do with the price of bread! In order to survive in your new setting, we have compiled a list of the essential grocery items you will most likely purchase on a regular basis and approximately how much you’d pay for each item. Not a great cook? 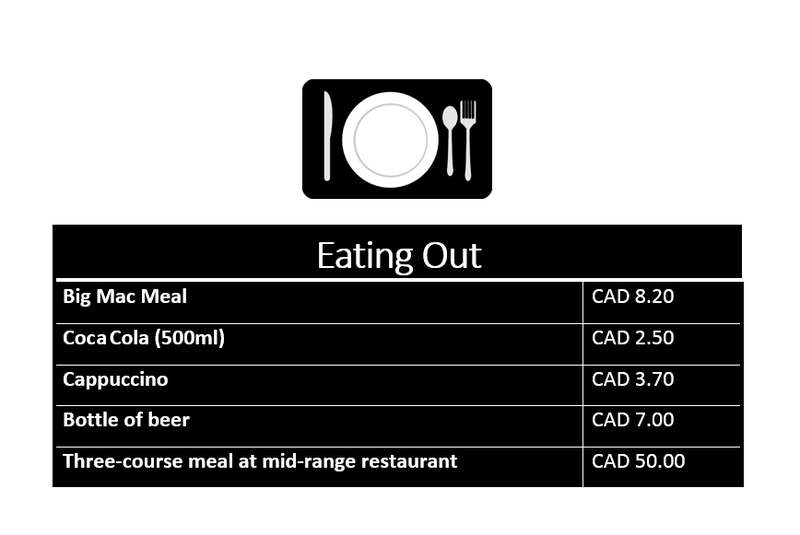 Here is an estimated guess on how much you would spend for regular fast-food or restaurant meals in Canada. Make sure to keep in touch with your loved ones at home. Utilities are cheap and accessible so you are able to skype them regularly. 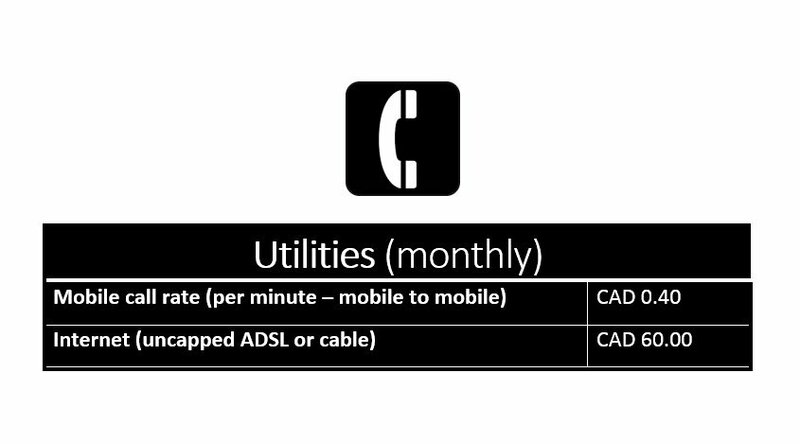 The cost of mobile to mobile calls are also reasonably low so you are able to remain connected.